Personal-pump convenience with reusable pump performance. Compact design for comfort and mobility. Intelligent Pressure Control delivers set pressure at the wound site 1. 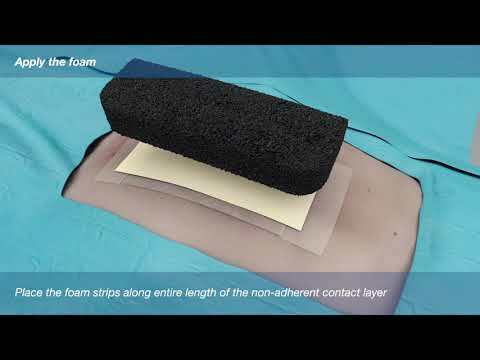 Dynamic Exudate Removal helps prevent blockages 1. Canister based system for efficient exudate management. The Invia Motion 15 Days / 60 Days Negative Pressure Wound Therapy (NPWT) pump provides the convenience of a personal pump: The compact design and quiet operation helps patients to comfortably go about daily activities for the duration of negative wound therapy. The performance of the Invia Motion compares to reusable pumps: With a double lumen tubing design from the pump to the wound, the pump actively controls the set pressure at the wound site. In addition, small blockages in the tubing are resolved by the pump with assurance that clinicians and patients will see and hear notifications for any unresolved blockages in the tubing. Invia Motion delivers therapy confidence in all care settings: Home care, long term care and acute care. The Invia Motion comes with a discrete carrying case and battery autonomy of 10 hours to promote mobility of the patient. The Quick-connector interface provides easy and secure attachment between the dressing tubing and the canister tubing. Compatibility with Invia Foam and Gauze dressing kit. and with FitPad. The Medela NPWT App* helps healthcare professionals and patients to better manage NPWT with its short and simple instructions videos and quick cards to support you in becoming a confident and knowledgeable NPWT user. *NPWT App is only available in certain countries. The Invia Motion System is intended to be worn in the carrying case during operation. The carrying case is provided with the Invia Motion System. Power supply provided in the Invia Motion starter kit; replacement available separately. 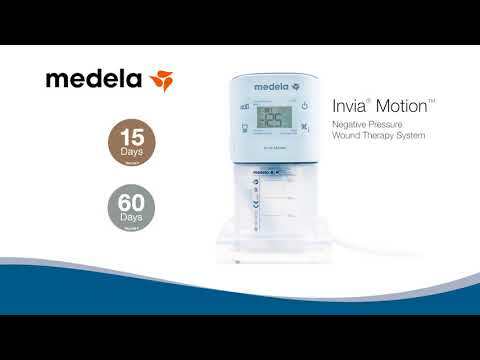 Only use Medela provided power supply with Invia Motion devices. The videos are for demonstration uses only and in no way replace the instructions for use. 1- Performance data on file at Medela AG.